The following are videos, articles and other media items related to Scandia-Hus self build homes. 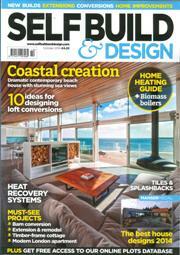 We are included in magazines such as Grand Designs, Build It and Self Build and Design. “These stunning self-build projects demonstrate the versatility of this tried and tested construction method. 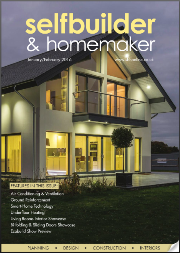 We were pleased to receive a four page feature case study on our energy efficient Adelia show home in the February edition of Selfbuilder & Homemaker as well as the cover page. The article gives a written walk through of the key design features of the timber frame home and showcases the top quality and energy efficient credentials of our build. 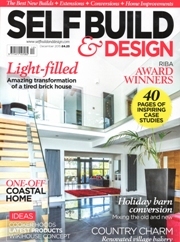 We were pleased to receive a three page feature case study on our Adelia show home in the February edition of Self Build & Design. The article gives a written walk through of the key design features of the house and showcases the top quality and energy efficient credentials of our build. Engineered at the Scandia-Hus (01342 838060; scandia-hus.co.uk) factory in West Sussex; the shell of this 260 sqm, timber framed home was then erected on site within just two weeks. The chalet-style three bedroom house features impressive eco credentials, with triple glazing, a heat recovery system and a ground source heat pump. A similar project would cost £500,000, excluding the heat pump, landscaping and external works. 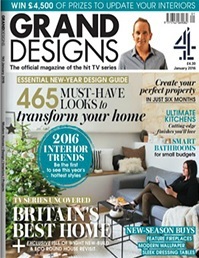 The feature can be found on page.146 of Grand Designs Magazine January 2016 edition. Timber frame house designer Scandia-Hus has opened a new show home at its sales office in Felcourt, West Sussex. The highly glazed 2,806 sq.ft property is a contemporary twist on the chalet style homes commonly seen around European ski-resorts. The home features an upgrade to Systemair full heat recovery system, British Gypsum lifestyle wall board applied to all walls and aluminum clad Tanums Swedish triple glazed windows. A Vaillant ground source heat pump powers the underfloor heating throughout the property as well as the hot water. The new show home is a radical departure from the company’s more conventional designs, which have largely been based on the local vernacular of West Sussex. Full feature can be found on pg. 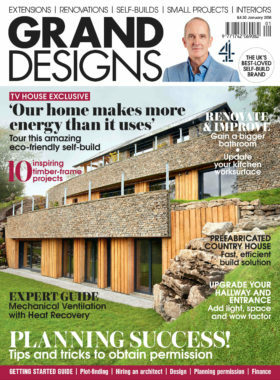 4 of Self Build & Design December 2015 issue. 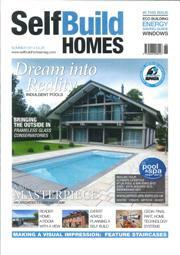 Article in the summer issue of Self Build Homes regarding Scandia-Hus becoming a finalist at the South East LABC Awards. Since the press release was issued earlier in the year, Scandia-Hus’ entry went onto the Best Individual New Home at the awards. The team is now looking forward to attending the national LABC Awards in November to see if Westbrook will win the national Best Individual New Home category. Article in October’s issue of Self Build & Design announcing the construction on the first of three show houses in the grounds of Scandia-Hus’ offices will begin this October. 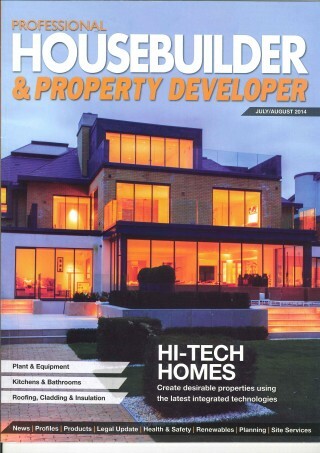 The July/August issue of Professional Housebuilder & Property Developer features an article on the awards winning Scandia-Hus property Westbrook. Winner of the Best Individual New Home in the South East at the 2014 LABC Awards, Westbrook has been put forward to the grand final of the LABC Awards which take place in November this year. The news of our recent awards win at the South East LABC Awards has been featured as a news story on the Southern Homebuilding & Renovating Show website. For further details on Westbrook the Scandia-Hus entry which won Best Individual New Home please click here. 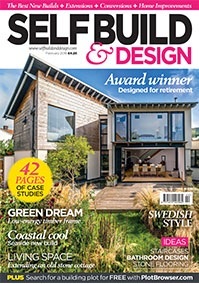 Feature included in the August 2014 issue of Build It magazine, aimed at providing readers with a guide to design and package companies to help them decide who to employ. 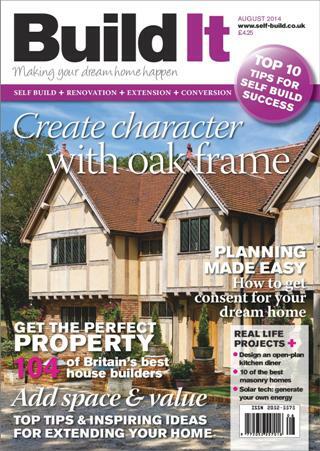 Scandia-Hus are listed under timber frame packages on page 100 of the magazine.